Abbey Mei Otis's short stories are contemporary fiction at its strongest: taking apart the supposed equality that is clearly just not there, putting humans under an alien microscope, putting humans under government control, putting kids from the moon into a small beach town and then the putting the rest of the town under the microscope as they react in ways we ope they would, and then, of course, in ways we'd hope they don't. Otis has long been fascinated in using strange situations to explore dynamics of power, oppression, and grief, and the twelve stories collected here are at once a striking indictment of the present and a powerful warning about the future. "After I read this book, I woke up with bumpy, reddish growths along my spine. They burst, releasing marvels: aliens, robots, prefab houses, vinyl, chainlink, styrofoam, star stuff, tales from the edge of eviction, so many new worlds. 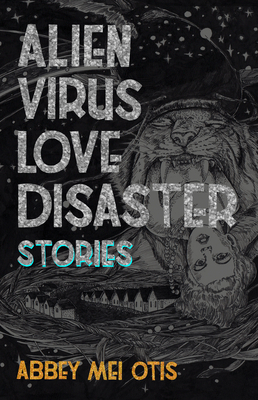 Alien Virus Love Disaster is a super-intelligent infection. Let Abbey Mei Otis give you some lumps." Abbey Mei Otis is a writer and teaching artist who lives in Washington, DC. She is a graduate of the Clarion West Writers Workshop and received her MFA from the Michener Center for Writers at the University of Texas. Her work has been published in Tin House, Strange Horizons, Tor.com, Barrelhouse, Gargoyle, and Story Quarterly, among other places.